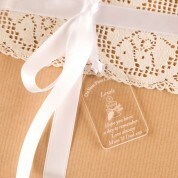 A child's 1st Holy Communion marks a very special occasion in their church life. After the service the family often have a party or a meal to celebrate. If you are attending, why not get a personalised tag to accompany a small gift. 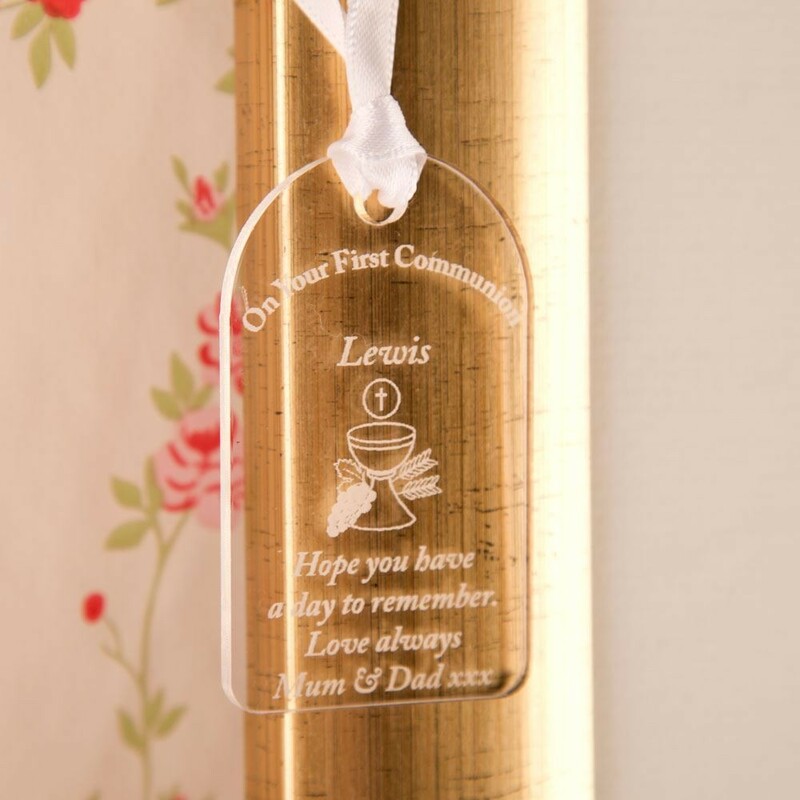 The gift tag makes a keepsake gift in itself and can be hung up in the home on a window latch or wardrobe door or alternatively can be kept in a little keepsake box (with other Holy Communion gifts). 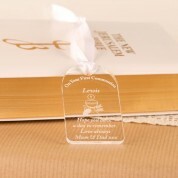 Dimensions:approx 3.5cm x 6cm x 3mm deep.